Sarah Palin has returned to Alaska to look after her husband, Todd, who was involved in a ‘serious’ snowmobile accident, skipping a political event in Florida. Palin had been expected to attend a Trump rally in The Villages, Florida, on Monday, according to NBC News. [Sarah Palin] looks forward to being back on the campaign trail soon. Donald Trump’s presidential campaign says that Todd Palin, husband of Sarah Palin, has been “in a bad snow machine accident” Sunday night and is hospitalized. Saddened to hear the news about Todd. Heidi and I will be keeping him and the entire Palin family in our thoughts and prayers. 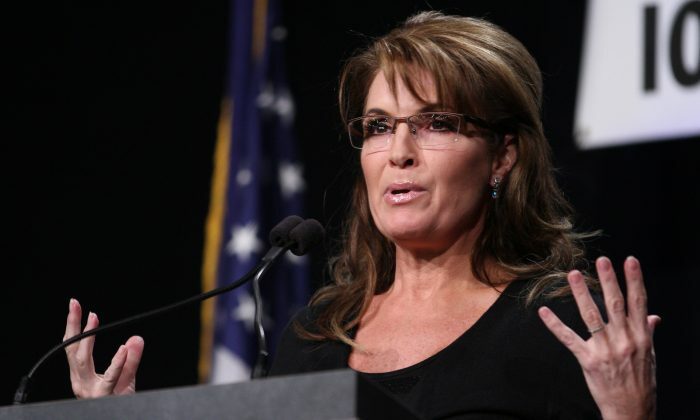 The statement said Trump, the GOP frontrunner, sends his thoughts and prayers to Palin and her family. An associate of Todd Palin says Sarah Palin’s husband is expected to recover from a snowmobile accident in Alaska that left him hospitalized. Scott Davis, Todd Palin’s former snowmobile racing partner, said Monday that Palin’s father, Jim, told him Todd was injured and in the hospital but would be OK.
Davis raced for years with Palin in Alaska’s annual 2,000-mile Iron Dog snowmobile race.